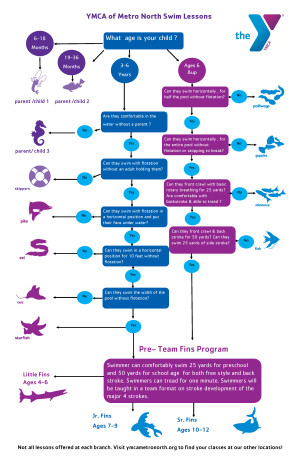 Find out your child’s swimming level! Figuring out the appropriate swim lesson level for your child is quick and easy. If you are unsure of your child’s swimming level, please contact your local branch to schedule a swim test.